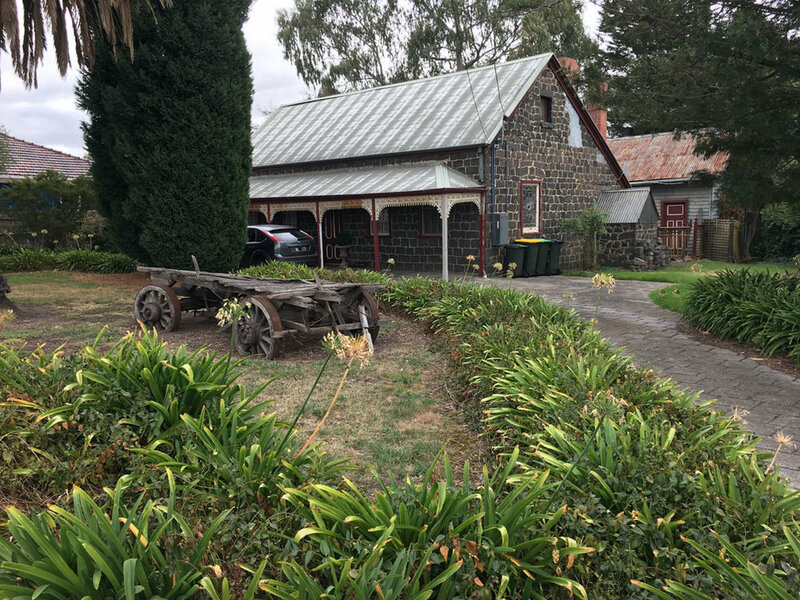 This ride is a short circuit ride that explores the remnants of a little known German settlement 16 km north of Melbourne. This settlement is about 160 years old. The original inhabitants of the area were there for probably 30,000 years. The settlement dates from 1850 and was established by William Westgarth, a Melbourne merchant. Five houses, dry stone walls, a Lutheran Church and a Cemetery remain from the settlement. For more information about Westgarth Town, go to westgarthtown.org.au. You can download the Westgarthtown Heritage Walk from this website. There are no toilets or cafes on the ride route. You will need to go to High Street opposite Thomastown station. This ride is on sealed surfaces. All of this ride is on suburban streets with little traffic. Terrain is flat and it is rated as easy riding. From the west side of Thomastown station cross High Street at the traffic lights There is an Italian cakes and coffee shop opposite the station if you need to refuel. Ride west along Main Street for about 500m. Once you cross Edgars Creek, turn right (north) into the driveway, past the Thomastown Recreation and Aquatic Centre and then take the path to the right just past the Thomastown Football Club building. This will take you to Gardenia Road. Ride north along Gardenia Road to Ainwick Crescent, where you will find Ziebell’s Farmhouse. 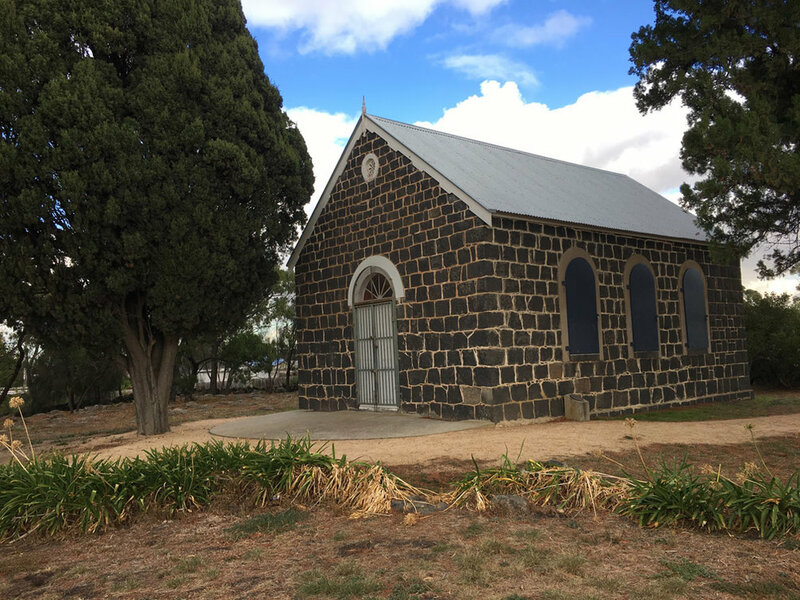 Take the gravel path through the paddock behind Ziebell’s farmhouse to the Lutheran Church. Beyond the Church there is a gravel path leading to a gate onto German Lane. Turn left on German Lane and ride west to the Lutheran Cemetery. After you have looked at the cemetery turn right at the roundabout into Gardenia Road and ride north. At No. 127 is Maltzahn's Farmhouse. At the north end of Gardenia Road turn right into Robert Street. Wuchatsch’s Farmhouse No. 74 is immediately in front of you . Ride east along Robert Street to the roundabout where you turn right and ride south down Mountain View Road. As you ride south along Mountain View Road, on your right at No. 77 is Siebel's Farmhouse. Continue down Mountain View Road to Main Street, where you turn left to return to Thomastown Station. Follow Route from Main Street to the M80 Trail given below. See the second map below, Westgarthtown Variation, to see the route from Main Street to the M80 Trail to do these extensions. When you get to Main Street turn right and ride west to Lantana Avenue. Turn left at Lantana Avenue and ride to the end of Lantana Avenue, and then turn left into Spring Street. Ride east along Spring Street and cross the Edgars creek. Immediately across the creek, on your right, is an awkward gate to the bicycle path along the creek. Follow the path south till you get to the the M80 Trail. For the The Old Pipeline ride, turn left at the M80 Trail and ride east. When you cross High Street you are now on this ride. For the Merri Creek Explorer ride, turn right at the M80 Trail and ride west.